Haringey has updated its Area Action Plan (AAP) to remove the references to it being predicated on the arrival of Crossrail2 and retain homes along Caxton Road and its junction with Mayes Road. 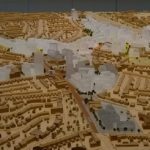 Otherwise, it contains all of the flaws of the previous version but this time written in the knowledge that the HDV is very unlikely to enable some of its most extreme projects and in direct opposition to the growing calls for a community led plan that values and puts the existing community at its heart. 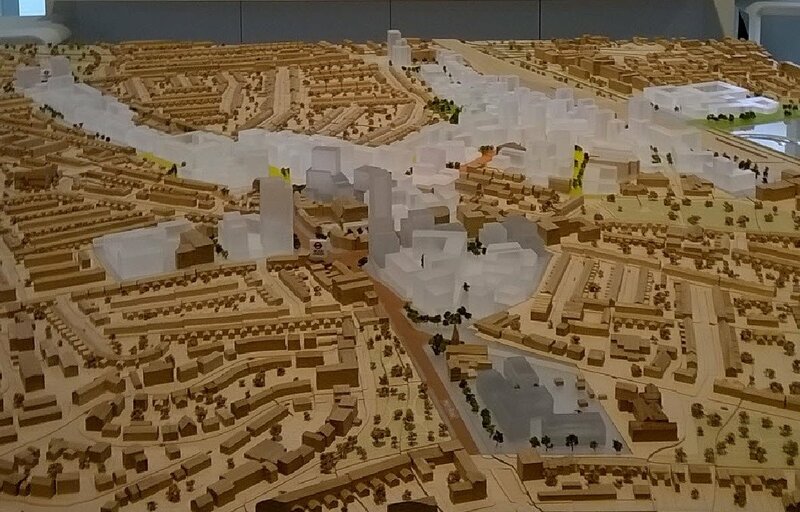 Meanwhile, Haringey is using the draft as the basis to permit ever increasing dense and high development as well as telling residents of two of the largest areas of housing in the area (Sky City and Paige High) that their homes must be redeveloped. Residents representatives of Sky City and Paige High joined PMRA at its General Meeting on 21st February 2018 and unanimously agreed to write to the council calling for the consultation period to be extended by two months. Sitting Ward Councillor, Peray Ahmet confirmed that the consultation was not subject to rules of purdah around local election time and therefore the council was free to decide when it could close. The much vaunted Wood Green AAP is now so discredited, it really is time for Haringey to start again. With the plan in more trouble than ever, it's becoming clear that the planning system on which we rely lacks the honesty and integrity needed to deliver such a plan. While the key outputs of the AAP Preferred Option have been the product of several iterations by different names, each has used looser words and hidde flexibility to drop what little certainty the community believes it is being offered. All documents, including the Preferred Option were, in their own words predicated on Crossrail 2 justifying the 'intensification', yet with no Crossrail 2, Haringey thinks it acceptable to press on and has even encouraged higher levels of intensification. Haringey has utterly failed to respect and put the needs of the established community at the heart of their plan whilst ignoring the 'localism' agenda that Central Government has said is an essential part of major planning decisions - how very undemocratic of Labour council. The AAP brings with it huge risks but, unlike the HDV, those risks are becoming a reality as the draft AAP is used to justify the unprecedented number of major applications threatening to engulf us and harm the area for generations to come. Each seems to have invisible help and encouragement from Haringey to exceed significantly the inflated densities and heights in the AAP Preferred Option. The ease with which Haringey has dropped so many of its own policies on building communities with health and well-being at their heart, ensuring equality of opportunities, employment, open space whilst honouring our shared heritage is lamentable and dishonest given that the policies have all be consulted on before adoption under democratic rules. These are national objectives as well as being in the London Plan. Then there is the fiasco around demolition of Caxton Road and a swathe of Mayes Road for little or no benefit, clumsily announced to residents in the AAP consultation tells its own story. The demolition of the beating heart of Wood Green and most successful part of the town centre - the Shopping City - against the wishes of its owners and retailers, and sweeping away of the community who live above it, simply because it sits awkwardly with the 'fashionable' tastes of our council and those in their 'pay', if shear recklessness and calculated to harm residents and the local economy alike. Alexandra Palace Trustees have just woken up to the threat to Alexandra Park from so many people relying on it as their local park and their only open space. Haringey's inability to plan and deliver the new connections that are an essential part of such intense development (for example links to Alexandra Park from Heartlands and safer and more usable links at Turnpike Lane (beneath the railway) and Alexandra Palace Station where the footbridge can't even cope with existing users at peak times) is illustrated by their failure to allocate CIL to such needs and their action on the Fairview development in Hampden Road where the major development under construction finds itself at the end of a poorly connected cul-de-sac when it should have accessible connection to the station and towards Hornsey and access to a connected New River Path. Haringey's grasp of transport issues relating to the intensification is equally deficient: it brushes aside any concern for the impact of increased traffic on Hornsey Park Road, with all of the associated averse health and environmental impacts, and fails to recognise that the two overground railway stations are inaccessible to anyone who cannot manage formidable flights of steps or fears isolated footbridges after dark. Haringey must now come clean on how it has been working with and encouraging developers to come up with outrageously intensive schemes without any proper justification or evidence of how they will ever be sustainable and without any thought for the local communities. The Iceland and new hybrid Haringey Heartlands are simply the worst examples to date but we can be sure here will be more, if Haringey does not stop and reflect on where it is going wrong. And at the heart of all of this is an AAP that is not fit for purpose. In the face of a frenzy of a planning applications it be withdrawn and work stated immediately on a democratically drawn up Community Led Plan. Haringey got it badly wrong a generation go with its plans to redevelop Wood Green - a scheme that ultimately it failed to deliver: now, having sat on so much of the town centre's precious land and watched its decline, we are again threatened by our own council as they seek to destroy our precious communities. It's time for Haringey to listen, learn and start again.